You are currently browsing the The Pet Product Guru blog archives for the day Friday, December 22nd, 2017. 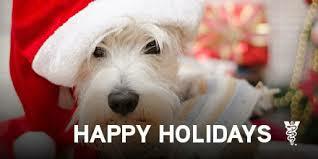 Happy Holidays From The Pet Product Guru! It’s been a pleasure writing about “our little friends” and we intend to keep the information coming to you in 2018. Have a great holiday and make sure that you keep your pets safe during this time. Make sure that they don’t get into any holiday treats that they shouldn’t have. You don’t have to lock them up just make sure that they are supervised closely during the holiday festivities. After all they are also a part of your family. There are also thousands of unwanted dogs and cats spending their holiday in shelters. They are anxiously waiting to be adopted into a loving household. If it’s in your heart to give one of these little guys a second chance, please do so. It return, they will provide you with many years of unconditional love and affection. Enjoy your holiday and thank you so much for your support throughout the year. 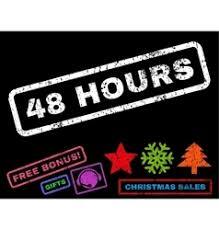 A great way to spend the holiday is to listen to our online radio station EDGEWATER GOLD RADIO —listen to the 48 hours of Christmas beginning at mid nite Dec.24th and going right through Christmas day. Back to back holiday favorites from multiple genres, pop, traditional, country and classical! Make Edgewater Gold Radio a part of your holiday! Listen from our website, The Edgewater Radio Network! add comment Comments Off on Happy Holidays From The Pet Product Guru!